I hope decent-thinking North Dakota voters allow the picture attached to this article to be burned into their memory for retrieval on General Election Day 2018. 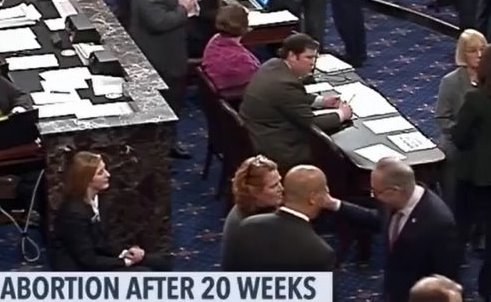 This is Democratic Senator Heidi Heitkamp giving a high-five to Senate Minority Leader Chuck Schumer after voting today to kill a bill to ban abortions at 20-weeks. 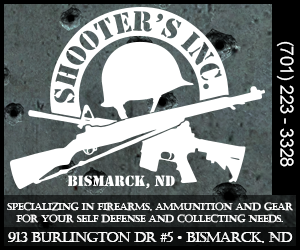 Unfortunately, Senator Heitkamp’s vote isn’t altogether surprising. Just one week ago, we dropped an article here on The Minuteman questioning whether she’d vote against a bill that had just passed the U.S. House to protect babies that survive abortions. 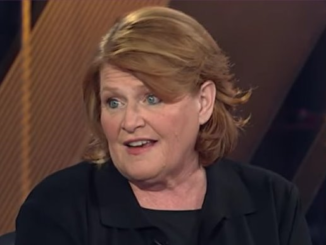 In that article, I pointed out that Heitkamp has a 100% rating from the Planned Parenthood Action Fund. Considering this vote, she’s obviously more intent on protecting that record than she is at protecting those who cannot protect themselves. While the sicko’s that support the barbaric practice of ending the life of these unborn babies would point to the fact that such abortions are rare, and that babies at 20-weeks currently cannot survive outside the womb, does that justify legally killing them? I’ll save you the trouble, but anybody with a brain that sees pictures of babies born at 20-weeks knows they are exactly that… babies. Yet, again, why should this surprise us? After all, Heitkamp and Schumer belong to a party that had 183 Congressman who voted against protecting babies that survive an abortion. 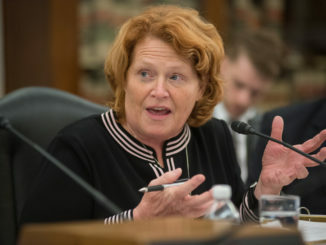 Not only is Senator Heidi Heitkamp a shill for the Democrat Party, but she’s a despicable politician. One who is not only undeserving of re-election, but she should be run out of office by a margin that will make her never want to enter the arena of politics ever again. Strong words? Perhaps. But they’re fitting for a Schumer-loving Democrat intent on permitting the killing of babies.